There are two versions of payroll for QuickBooks Online UK. This article is for PaySuite. If you have QuickBooks Online Payroll, view Submit FPS to HMRC . 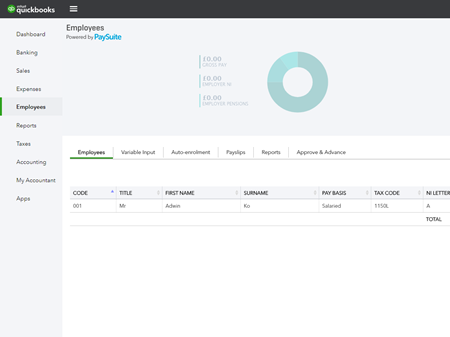 PaySuite customers have 'Powered by PaySuite' on the Employees page. See screenshot below. 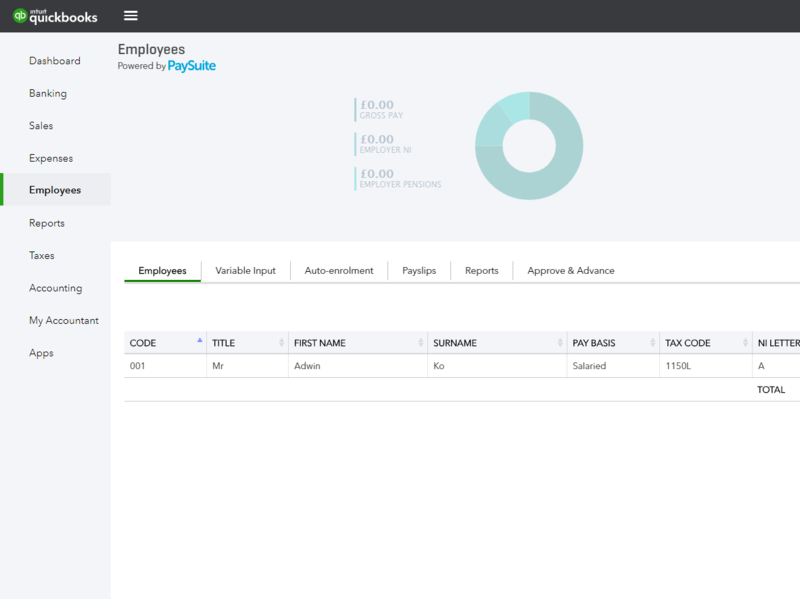 If you don't have PaySuite on your Employees page, view Submit FPS to HMRC. Unlike FPS filings, an EPS (Employer Payment Submission) filing is created for specific reasons and might not be required every month or at all. When is an EPS filing needed? If no payments to employees have been made within the current or past pay period (no payment period is indicated). In other words, no FPS filings have been submitted. To claim the Employment Allowance, if entitled. If you need to send an EPS, you can send it after you have completed all the payroll for the tax month, or by the 19th of the following month if HMRC has to give you credit for what you owe from the EPS. You should only submit one EPS for a tax period. Select Company Cog, then select Employer Settings. In the Real Time Information section, you'll notice an option to send an EPS. Select the EPS and view the details. Enter your HMRC credentials if this is the first time you’re making a submission to HMRC, then select Submit. When can't I file the EPS? If you have paid employees within the current pay period (no payment period is indicated), FPS filings have been submitted. You haven't paid SMP or SPP before sending EPS. You have outstanding payrolls for the month. Then the EPS filing is listed, but cannot be submitted until you’ve run all payroll for the tax month.